When it comes to getting archery down to the basics, you come up with three things. Archer. Arrow. Bow. You need all three to complete the equation. Obviously you are here, so you have the archer. Now it is time to focus on the bow. And here at Medieval Archery, we specialize in medieval longbows and recurve bows so that you can pick the one that best suits your needs and your taste. Each and every one of our bows are hand-crafted to offer superior design and power with every nocked arrow. This ensures that when you shoot with one of our bows, you get an authentic experience. We cater to a diverse array of tastes in our selection of bows, offering traditional longbows and war bows for the historic shooter, recurve bows and horse bows for mounted archers, fantasy bows that are both functional and beautiful to behold, LARP bows for your gaming needs, youth bows for the young archers out there, accessories to further enhance your archery experience, and even crossbows to own and shoot for defense, fun, and LARPing! 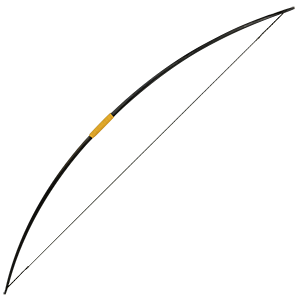 As an archer, only you know your tastes and your needs so take your time and browse through our selection of medieval longbows and recurve bows, as well as their accessories. That way, when you make a decision, you know that it will be just what you need to make your archery experience both fun and authentic. The power of a bow in skilled hands is quite well-known, and it the fearsome reputation of archers that likely makes the weapon as popular in fiction as it was in history. If your favorite archer happens to be born of fantasy, then perhaps you might find their bow here at Medieval Archery. After all, we carry a number of fantasy bows that are every bit as functional as they are lovely to look at. Like our more traditional longbows, each and every one of our fantasy bows are crafted entirely by hand. This ensures that as ornate as they may look, each one is also a functional bow that you can use to nock, draw, and fire arrows. They come in a number of styles, ranging from elven bows adorned with natural designs and flowing scrollwork to rugged woodsman and ranger bows fit for the best of hunters. 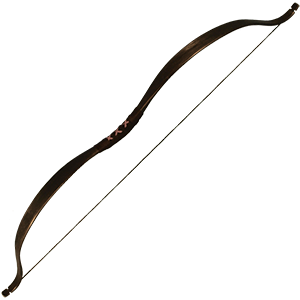 We also offer bows from a few popular series, including some Lord of the Rings bows that reflect the weapons wielded by the elves of Middle-earth, including a few longbows based on the weapons of Legolas himself! Vibrancy of color and intricate detailing on each piece makes every fantasy bow here at Medieval Archery a stunning sight to see. 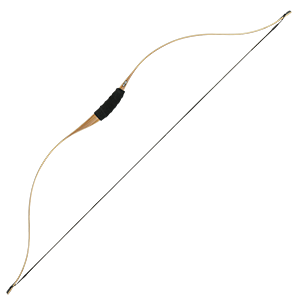 Factor in that each one can also be used for traditional archery, and it is not hard to see why our selection of fantasy bows is one of the very best. 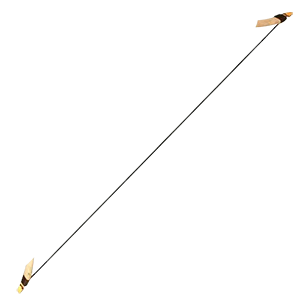 In battle the bow opens new avenues of offense and forces foes to anticipate attacks and devise new defenses. This was true on ancient battlefields, and it remains true today in Live Action Role Playing events. Added in to your LARP experience, a good LARP bow might be just the weapon that gets you through the battle and allows you to experience a whole new realm of possibilities for your character. 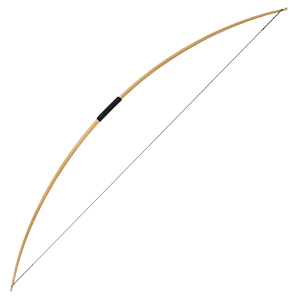 The durability and resilience of these bows is quite extensive, as many are made using some amount of fiberglass. 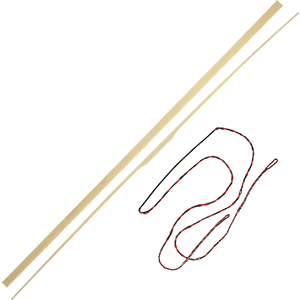 Whether they are made from it exclusively, feature wood accents, or wooden layering, this material ensures that the LARP bows are hardy and durable and can be left strung for hours with very few problems. These bows also offer a lower draw weight, with many models ranging between 20 to 30 pounds (see each individual bow for more narrowed variances). Fired with a LARP approved arrow and used responsibly, these bows are perfectly safe for use in LARP events and LARP games. A LARP bow can also be used for traditional archery as well, and with its low draw weight and hardy design, many make for fantastic target practice bows, beginner bows, or youth bows too! Whether you grab a fiberglass bow, a wood bow, or a hybrid, any one of the LARP bows from Medieval Archery will give you the chance to expand your horizons by opening you up to the wide world of archery. 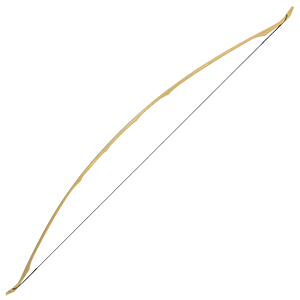 Bows were not the only ranged weapons that an archer had access to in the medieval ages. The crossbow was a favorite of many militaries, especially since it packed great power and was somewhat easy to use. Of course, it would not do for us to ignore this weapon, so at Medieval Archery we also carry a selection of crossbows for you to use, either in LARP events or in historical reenactments. Mechanically, the crossbow uses the same principles as the bow, but instead uses a frame to hold the constrained force, making it much easier to fire. Our crossbows reflect a realistic look for a wide variety of different uses. Our LARPing crossbows offer a lower draw weight for safe use in gaming events while still offering up several styles that fit perfectly into historic and fantasy settings. Even our more decorative crossbows still feature mechanical, moving parts that allow them to be fired (although decorative pieces have limited range and equally low draw weights). 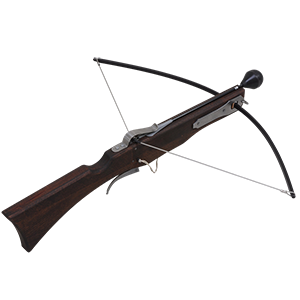 And of course, any fully functional crossbows we offer are noted as such and will not disappoint when it comes to delivering a bolt to a target. Not everyone wants to be an archer with a bow, and that is why Medieval Archery offers our crossbows - so that you can easily fight at range, no matter what battlefield you find yourself on.